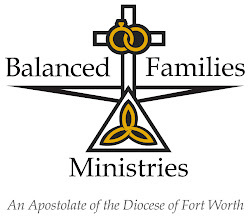 Balanced Families Ministries: What's the Difference? Josef Mengele, also known as the ‘Angel of Death’, was a physician and researcher that performed experiments on human beings during the Holocaust of World War II. His evil motives and works are now and will be forever cringed at. When a person speaks of a mad scientist willing to perform unspeakable acts upon a human being, all in the name of ‘progress’, his work will be remembered by many. 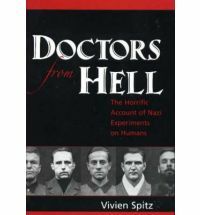 Physical sterilization of unwilling young women and girls without anesthesia, trying to physically conjoin two twins together, and performing vivisections on pregnant women before sending them to the gas chambers were a few of his horrifying procedures. All the while giving candy to the children and convincing some of the prisoners that he was good ole’ ‘Uncle Mengele’. He wanted to find out how to create a super-human being and, right along with Nazi belief, he thought that the ‘useless’ people of the world should be used in order that the ‘genetically enhanced’ people can have better lives. 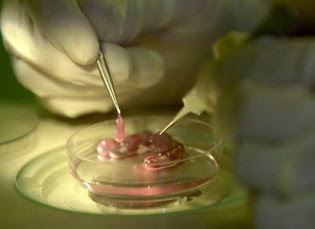 Embryonic stem cell research is intrinsically evil. A God-fearing person could never reasonably believe that human experimentation can ever lead to good ‘ends’. The USCCB said it this way, ‘Because life is our first and most basic gift from an infinitely loving God, it deserves our ut most respect and protection. Direct attacks on innocent human life are always gravely wrong. Yet some researchers, ethicists, and policy makers claim that we may directly kill innocent embryonic human beings as if they were mere objects of research…’ Secular physicians have now embraced the credo of ‘the ends justify the means’ and have engrained that ideology into the very heart of productive research. We are killing off innocent and unwilling human beings for the ‘betterment’ of those that think they are going to live forever and are still striving to find the fountain of youth. Treated as yesterday’s trash we dissect and murder the most dignified and precious human beings we have! So I ask you what is the difference between these two horrific and demonic practices? The same liberals that want Josef Mengele’s head on a plate want to fund the exact same horror on their own people! We cannot kid ourselves, the evils of the Holocaust of the 40’s has never ended, between abortifacient contraception, In-vitro Fertilization, and Embryonic Stem Cell Research, we are killing off our own race and still trying to create and find an ‘Ubermensch’! There is no difference between the horrifying and utterly Satanic attacks on the innocent! We are still on the platform of the Pharoahs who thought it would be better to kill off all of the innocents rather than possibly have a deliverer from slavery!